Join The Biggest SKateboard App to shred the Gnar Gnar! Post to all your friends and the entire Shreddit Community! They will love your style! 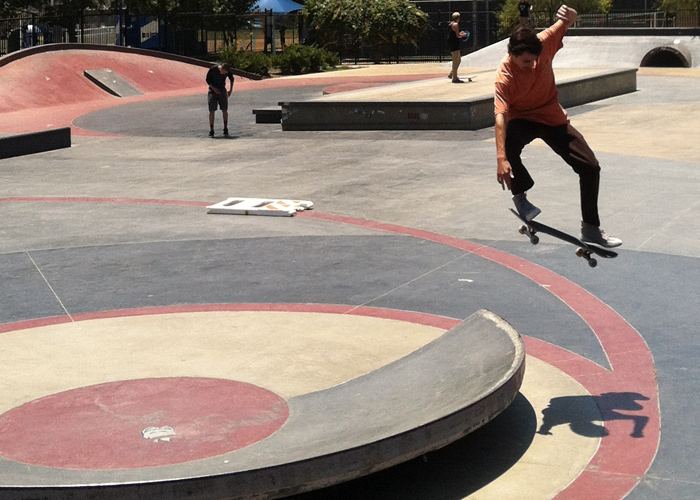 Find all the Skateparks in the USA and Australia. We also have thousands of skatespots. Watch the Newest Clips/Videos from all your favorite channels such as:Thrasher,Ride Channel,Transworld and Berrics and More! Learn all the tricks you been dreaming of landing. Step by step instructions and video! We aim to give back to skateboarding what skateboarding gave to us. Bringing Skateboarding and Mobile to one place. Welcome to Shreddit. Shreddit was founded in the ripe year of 2015. The main goal of the project was to create a home for skateboarders around the world. A place where they can always come for some laughs and guidance to the nearest park or spot. We have come far since the first features. Today we have incorporated many other features such as a vast selection of Videos"Clips" from all your favorite skate outlets such as: Thrasher, Transworld Skateboarding, Berrics, Ride Channel and more. We also wanted to help all skaters progress at a much faster pace which is why we added the "Trick Tips" section. We aim to help all skaters gain those small tips to land it faster. Our team has been skateboarding since they were kids. Skateboarding as lifestyle is important to our community. Even when you bail, on Shreddit, you never fail. We live in new era, where the young and old have alot more in common then before. Life expectancy is dramatically increased due to health advancements. Why not enjoy with physical limits and Shred as long as possible. BY SKATERS, FOR SKATERS. This is the spot where you can feel the most comfortable and also express yourself in every way shape and form. No sugar coating here. Just all natural fun and grinding rails all day long. Let Shreddit take you to the next level of your skateboarding experience. For those moments when you can't skate outside. Don't worry be happy! When you fall, just tumble and get right back up. We got the goods for your Shredding needs!